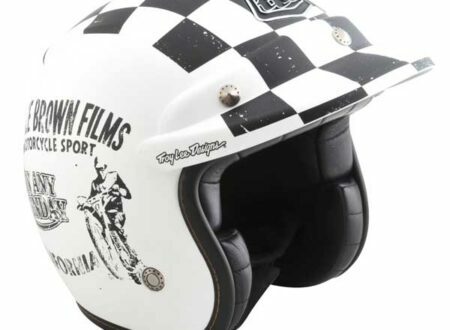 Death Spray Customs is a design and creative house specialising in motorcycle and bicycle work with a heavy emphasis on stunning paint jobs. 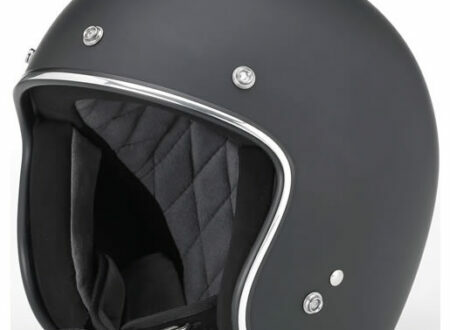 The el Fuerte is the latest lid from the team at Biltwell, it’s the DOT approved new model in their line up and it replaces the Hustler 3/4 face helmet that has itself become ubiquitous in the custom motorcycle scene over the past few years. 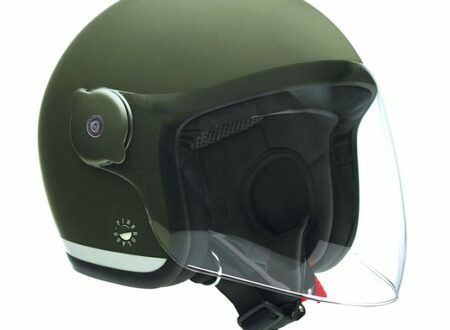 Tucano Urbano are a quiet company that comes out with well designed and quite appealing gear, this helmet is a good example of their work and is the sort of lid you could wear on anything from a 50cc Vespa to a Harley Cafe Racer and not look at all out of place. 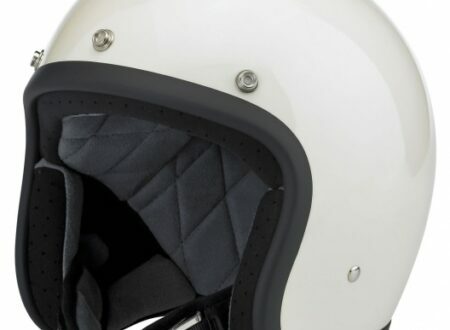 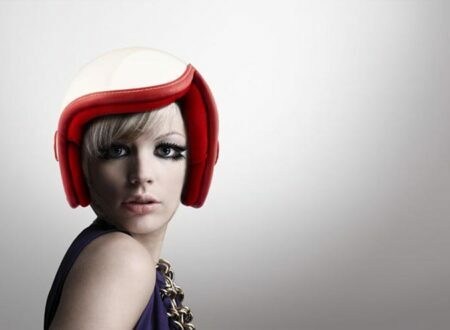 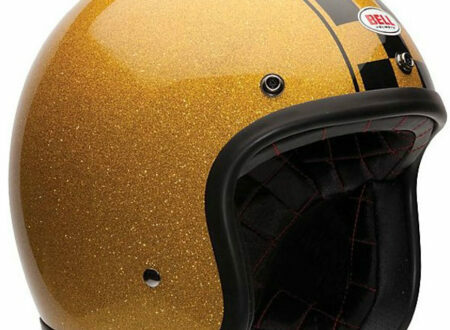 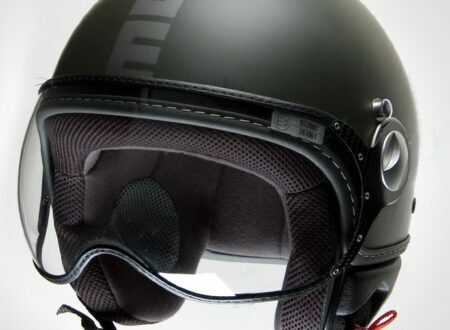 The Bell 500 Helmet Series has proven to be exceedingly popular, the combination of retro design with modern safety standards is an alluring blend for many motorcyclists, especially those who prefer the 3/4 face helmet style. 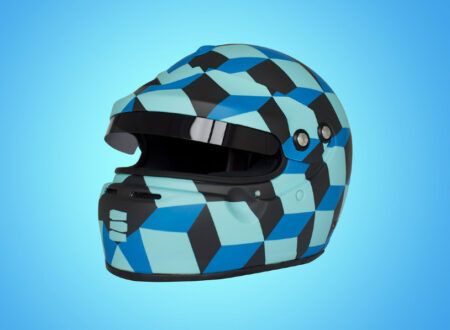 I think it’s interesting to see people experimenting with the fundamental shape of helmet design, generally speaking all helmets are semi-circular with some variation on a neck and face opening, you never see square or trapezoid helmets (and for very good reason). 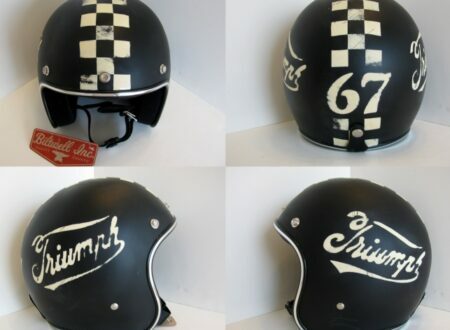 Small scale custom workshops are the lifeblood of the underground motorcycle community, and not just bike builders either, specialist workshops like Old School Helmets inject boatloads of retro class into their helmets and we love nothing more than to bring much needed attention to the “little guy” as opposed to the big name manufacturers.